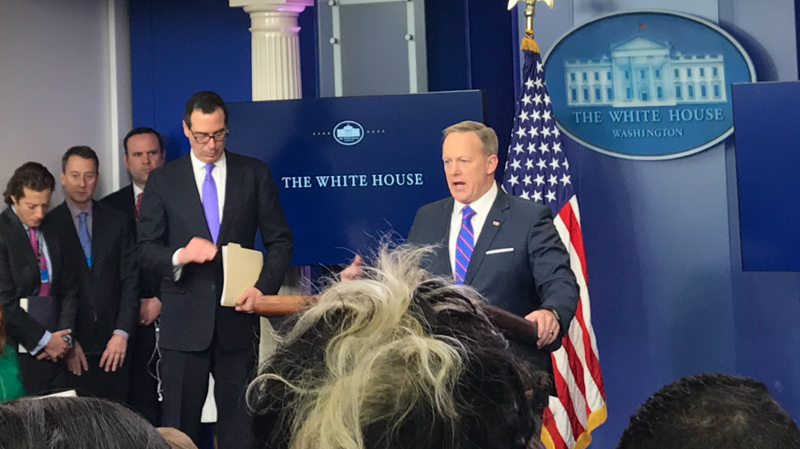 Washington, D.C. – Tensions before today’s White House briefing were high as many reporters in the White House Press pool brainstormed “got ya!” questions about the resignation of National Security Advisor Michael Flynn. As previously reported by TGP, Michael Flynn fell victim to a targeted campaign by former Obama officials who wanted to maintain the Iran Nuclear deal (something thatMichael Flynn was opposed to). The idea that not just in this administration, but the Obama administration going back to the Bush administration and back, that we have an issue where classified information, of which this would be, is handled in such a way that it is being given out. […] There’s also a story here, with the amount of leaks that are coming out of people that are entrusted with national security secrets and classified information are leaking it out. That’s a real concern for this President; that when he’s talking on the phone with a world leader, that when he’s making key decisions that are in the interest of protecting this country, that we have to wonder whether or not people who work for our government, who are entrusted with classified information and decision-based materials are leaking that information out. That, I do believe, is a big story that should be reported. I also believe that the President is, rightly so, very, very concerned about this […]. The White House Press pool largely ignored Spicer’s statement about national security, something that was exposed to be in need of reassessment stretching past the last two administrations, and re-focused on what they could sell as gossip. Immediately, the press jumped back on asking question about the “election hacking.” Seriously, not joking. They also asked about obtaining transcripts of highly confidential calls that former National Security Advisor Michael Flynn took part on. Also not joking. Right after Spicer’s statement about protecting our national security, a journalist asked for more information/transcripts on calls involving the former National Security Adviser which, if released, would harm our National Security. Isn’t it about time the mainstream media focused on threats to the homeland rather than the whims of their dinner party acquaintances?